Weekly Religious Education Classes for all baptized children (Kindergarten through 12th grades), run September through May on Sundays. If your child (7 and older) has not been baptized please contact the office; 435-752-1478 ext. 104 for Lorena Rodriguez. Weekly Sacrament Classes are for all baptized children and they run September through May on Monday and Wednesday evenings. These classes are for 2nd - 7th grades. Children take these classes in addition to their Sunday Weekly Religious Education Classes. These classes are for 8th - 12th grades. If your student (8th - 12th) is in need of Communion Prep as well as Confirmation, then that student will also need to attend a Sunday class. By appointment May 7 - 12. For an appointment, call 435-752-1478 ext. 106 or 109 for Linda Diaz or Nicole Held. - Parent must bring a copy of your child’s Birth Certificate and Baptismal Certificate to Registration. 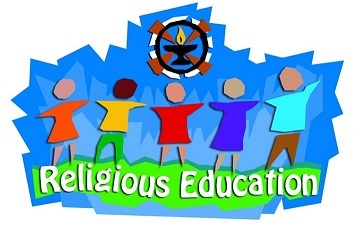 - Registration will not be complete until Parents and Students sign a Religious Education Commitment Letter. - In our diocese, no Sponsor is required. - All Sponsor requirements must be handed in by 30 days after classes begin. - Willing to be involved during entire process. - Only one Sponsor, male or female, is needed.